Three destroyed as a result of the Luftwaffe airstrike the Soviet T-34 medium tanks stand on the side of the road, not to hinder the movement of the mechanized columns of the Wehrmacht. 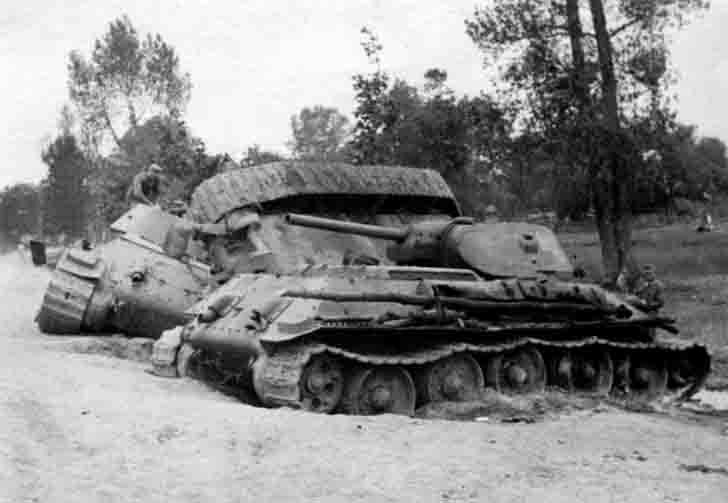 T-34 medium tanks from the 32nd Armored Division of the 4th Mechanized Corps. Western Ukraine, 25 – 26 June 1941.